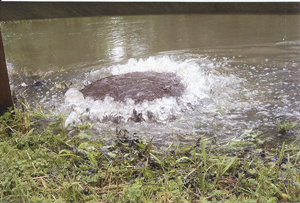 Complying with Wisconsin Department of Natural Resources (DNR) mandates to reduce clearwater infiltration and inflow in sanitary sewer systems is a time consuming undertaking for even the most sophisticated and well-staffed municipalities. It requires an intricate understanding of the requirements and personnel qualified to implement them. And while it should be, given the wide spectrum of higher priority items happening day-to-day in every municipality, it likely doesn't get the attention it should. We offer a comprehensive package of clearwater connection inspection services that are delivered by the most highly skilled professional inspectors in the industry. Efficient and thorough inspections conducted by professionals who understand clearwater infiltration and inflow in sanitary sewer systems means substantial long-term savings for the municipalities that choose this service. Tens of thousands of dollars can be saved annually by reducing the high cost of clearwater treatment. Trust Kunkel Engineering Group to perform this vital service for your community and start saving valuable resources today.